Two-week refresher course in Public Economics for University and College Teachers in South Asian Region. NIPFP in collaboration with the Ministry of Finance INGAF (Government of India) is organizing a two-week training programme for the ICAS (India Civil Accounts Service) Probationers on “Emerging Issues and Challenges in Public Finance and Policy", from December 10-21 2018. The programme will be held in the Class Room of R&T Building at NIPFP. Ms. Amandeep Kaur is the Course Director. NIPFP Faculty and researchers are welcome to join sessions, which interest them. A copy of the ICAS programme schedule is attached. NIPFP is organising a two-week Training Programme for ICAS Probationers on “Emerging Issues and Challenges in Public Finance and Policy”, April 9-20, 2018. Course Director: Lekha Chakraborty and Course co-ordinator: Amandeep Kaur. See group photograph below and more photographs here. 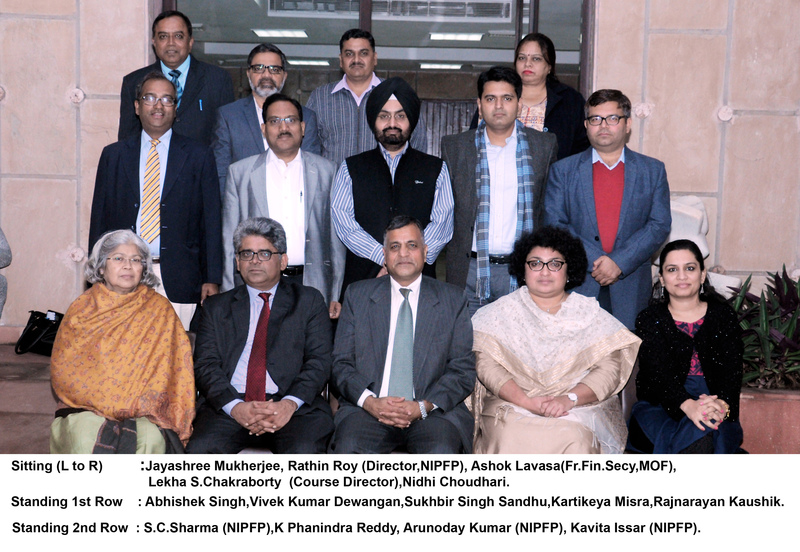 NIPFP is organizing a one week In-service training programme on “Fiscal Policy and Macroeconomic Management ” for Senior IAS Officers, February 5-9, 2018. This programme aims to strengthen the participant’s understanding of fiscal policy issues and their implications for the contemporary macroeconomic and budget management. This IAS training programme is second in the series for the year, as DoPT has approved two IAS training programme for the year 2017-18 for NIPFP. The programme will be held in the Auditorium of the NIPFP. Dr. Lekha Chakraborty is the Course Director. NIPFP faculty and researchers are welcome to join sessions, which interest them. Training Programme in Public Finance for Officer Trainees of Indian Audit & Accounts Service. 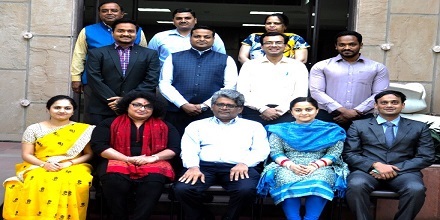 Two-week course in Public Finance for Officer Trainees of Indian Audit & Accounts Service. NIPFP is organizing a one-week in-service training programme on “Fiscal Policy and Macroeconomic Management”, for AIS (IAS, IPS and IFoS) Officers from 11th December, 2017 to 15th December, 2017. See group photograph below.